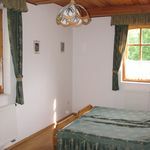 Rooms, services 20 comfortably furnished rooms are offered by Odvaskő Panzió és Étterem Bakonybél to guests looking for accommodation in Bakonybél. The pension ensures a pleasant stay for you and your family by offering chield-friendly services. In case you'd like to have a meal or a drink on the spot, you will be provided freshly prepared dishes in the restaurant every day. The pension provides a parking space for you without charging any additional costs. 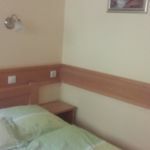 You can also bring your laptop for the holiday, for there is wireless Internet connection (WiFi) available at the pension. 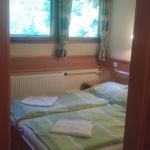 An exact and detailed list of equipment in the rooms and of the services provided by Odvaskő Panzió és Étterem Bakonybél you will find on the information sheet below and on the information sheet of the individual rooms, including any applicable additional fees. Location Cave Odvaskő is located 1.1 km, Cave Likas Stone 1.1 km, Pannon Csillagda Planetarium 4 km, Köves Mountain Lookout Point 1000 meters away. Catering The pension is greeting you with rich and tasty breakfast every morning, which is included in the price of the reservation. As the type of catering half board can also be requested when placing the reservation. Payment The pension is offering you the following methods for payment: cash, bank transfer, debit/credit card, széchenyi recreation card. Arrival, opening hours The earliest time of check-in is 14:00, the latest time of check-out is 10:00. The personnel can communicate with you in the following languages: Hungarian, English and German. The rating of Odvaskő Panzió és Étterem Bakonybél is 9.3 from the maximum 10, 185 based on actual and valid guest ratings and reviews. "Minden rendben volt. Kiváló szállás Kéktúrához :)"
"Nagyon jó az elhelyezkedése, természet vesz körbe, a bejárattól pár méterre már be is lehet néhány túraútvonalba csatlakozni. Szoba nagyon kényelmes és tiszta volt. Az étterem pedig nagyon jó, jó a választék és nagyon finomakat ettünk, vissza fogunk térni az biztos. :)"
Based on the reviews and comments of actual guests, the services of the Odvaskő Panzió és Étterem Bakonybél have received a high rating of 9.1/10.